As an English Literature student, one of the early texts I read and analysed was ‘Heart of Darkness’ by Joseph Conrad. The novella follows the story of Marlow and his journey along the Congo River to meet Kurtz. Trying to understand what Conrad is seeking to convey through the story has long been debated, and I remember how much more rounded that debate was for the presence of students who could offer a different perspective on British colonial history. I raise this example, not just because of the impact it had on my understanding and analysis of one text, but the subsequent impact it had on my appreciation of British history and society today. And it wasn’t just in the classroom where international students help to improve the quality of the experience for both domestic students and fellow overseas colleagues. For many students it is extra-curricular activities which really transform their experience. Students’ unions are a diverse and rich hub of student-led activity and very frequently, international students will be at the heart of sporting, cultural or recreational activity. The UK should be proud that is continues to be the 2nd most popular destination for international from across the globe. Home and international students both benefit from the academic and wider perspective our international students bring. 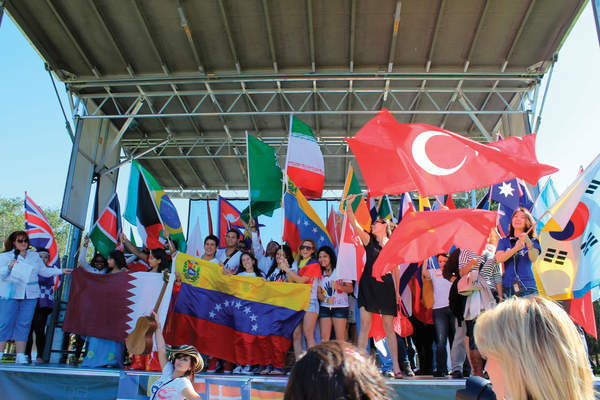 Recent changes to immigration policy affecting international students will continue to be debated. The government claim they are not intended to deter legitimate students, but coverage abroad and the recent debacle at London Metropolitan University have been unhelpful. The UK higher education community needs to make a re-doubled effort to celebrate the contribution and value of international students to the UK, and that value begins in the classroom and not on the balance sheet.